The potential uses of the internet of things (IoT) encompass all industries and environments. The simplicity of the central concept - devices sending and receiving data - ensures companies will spend years exploring ways to make their products and services more intelligent via IoT integration. The implications in health care are especially promising. Improvements in health care can literally save lives, with more accurate real-time data from patients turning into accurate and timely diagnoses delivering measurably improved health outcomes. Organizations in the medical space will have to develop ways to make the IoT work for them. This means making strategic changes to their operations as well as adding the technological systems that will make the processes work. This goes beyond the sensors themselves to encompass servers and internet connections. There's a need to keep the increased volume of information flowing smoothly from one point to another, while never putting that information at risk of breach. 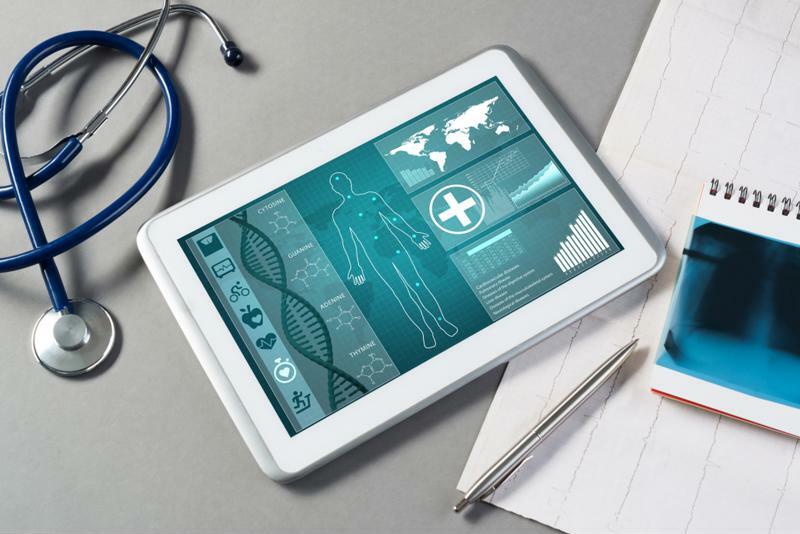 As Health Tech contributor Brian Eastwood recently explained, the planned transition from 4G to 5G wireless networks will be one of the landmark events in the improvement of health care. When there is more bandwidth for data to travel between patients at home and their doctors, as well as data prioritization to ensure the most important content gets through, medical organizations will be able to keep a closer watch on people at risk of recurring health issues. Eastwood noted that 5G connectivity will improve health data movement both within care facilities and beyond their walls. The emphasis, he suggested, will be in outpatient care. While the most pressing and obvious use of this new data flow is to intervene in high-risk cases, there are more subtle long-term benefits as well. When data is constantly flowing in from connected patient devices, doctors get a much more complete picture of people's health than they can obtain from only taking readings at check-ups. The oncoming promise of 5G shows both the potential and complexities of upgrading data use in the medical field. Organizations will have to process information at previously unmatched rates, providing secure communication and storage of that privileged patient content. More accurate and faster data can transform health care. 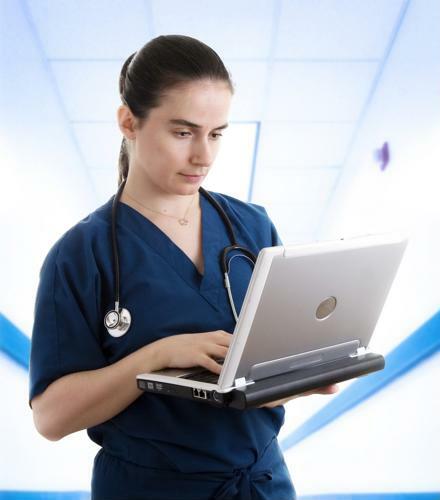 Improving access to patient data will help medial professionals use systems such as analytics. According to IoT Agenda, the use of artificial intelligence is one of these helpful convergences. When hospitals have access to more data, they can feed the information to AI algorithms, using these advanced decision-making engines to detect patterns that would be difficult or impossible to see for humans sifting through the same information. IoT Agenda pointed out that using AI for medical number-crunching isn't just a speculative use of the technology. Researchers have already put AI algorithms to work supporting general clinical decisions, acting as early-detection systems for diseases and searching for advanced cancer treatments. The sheer amount of information coming in from patient devices can lead to promising results once that content is given to powerful-enough analysis tools. The key steps for health care IT leaders over the next few years will involve making overall improvements to their technology lineups, as upgrading one area of solutions isn't enough to drive results. IoT agenda pointed out that the content coming in from wearable devices, home technology and other various sensors isn't useful to medical personnel until they can convert it into comprehensible insights. When hospitals are considering their present and future data and connectivity needs, they'll have to consider the potentially overlooked backed elements of their systems. Having a strong network, with serial console servers connecting administrators to important network ports to allow them to control the system remotely, can improve medical facilities' cost-effectiveness without sacrificing security. Network hardware from Perle will only become more important to hospitals as their data management needs increase over the coming years. The dream of better patient outcomes, facilitated by large amounts of data coming in on 5G networks, will depend on solid backend technology such as fiber media converters. Perle has spent years helping health care organizations overcome their operational challenges. This is the kind of experience future clients can leverage to install strong infrastructure and back up their operations with data. From patient analytics to increasing automation, there are near-unlimited uses for improved technology in the medical sector. Find out more about Perle's work with health organizations.